Tote Bag Painting with Bette! Show off your creativity when you shop using your very own hand-painted tote bag! 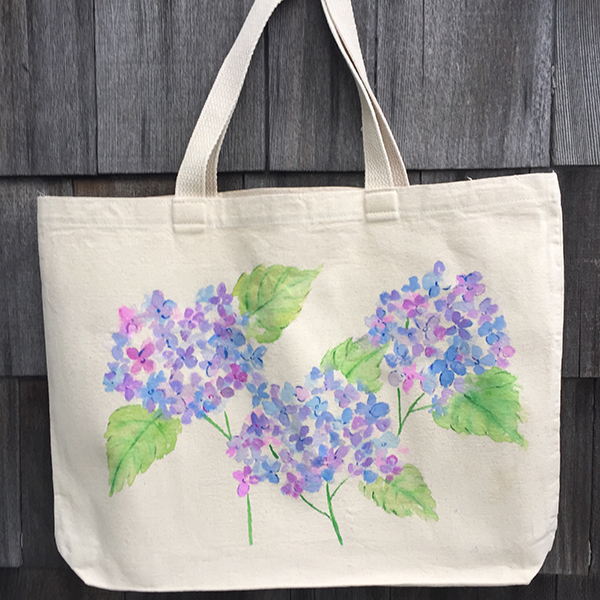 Join Bette from Easel on Down to learn how to paint a beautiful Hydrangea on a shopping tote. Reynolds will have a beautiful hydrangea centerpiece displayed as your inspiration and one lucky winner from the workshop will get to take it home too! So, grab a friend, some wine and your creativity and join us for a fun-filled spring evening! All painting materials are included. Cost of the workshop is $35 per person. This workshop is now full. Sign ups for the next painting class with Bette is coming in May!